Fashion is a word which always creates hype into everyone. It is fashion, which makes the world glamorous. Fashion not only about style but it is about photography. It is fashion photography which makes everyone to see what the latest fashion is. It is fashion photography which helps to send the fashion statement to everyone. Fashion photography should be too good so that everyone gets wowed. A fashion photographer has to have a vast knowledge about fashion photography. You have to think about what can boost the conversion rate of your fashion photo. A fashion photograph looks good with the compilation of many things. Models, products, lighting, concepts, photography and of course location, etc. have to be perfect for a perfect fashion photograph. If you are a fashion photographer, you have to have fashion photography location ideas. You really need to know which locations can make your fashion photographs look best. Here we bring you 12 amazing locations where you can do amazing fashion photography. Fashion photography is something which has no limit on experimentation. Every day new fashion photographers come with new concepts. A fashion photographer always uses his/her creative mind to make creative fashion photographs. Although clicking fashion photography on the streets is not really new but it is damn effective. 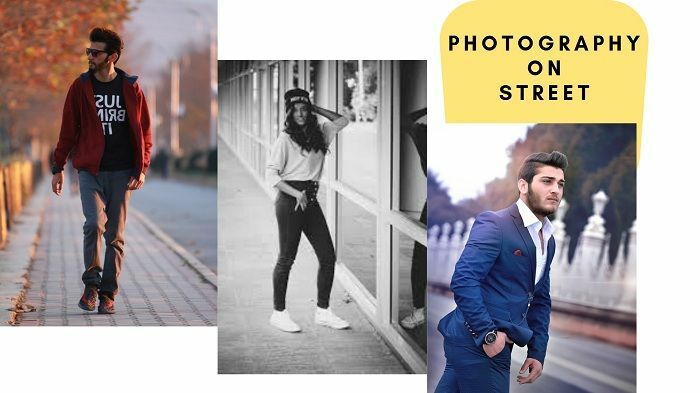 People say that the fashion photo was started on the streets. The street is the place where the brand clients and the photographers used to use for clicking fashion photographs as there was not enough scope to experiment. On the streets, you can photograph fun fashion photography which could be amazing. You can also do classy brand photo shoots on the street too. Clicking fashion photographs on the street is classics. 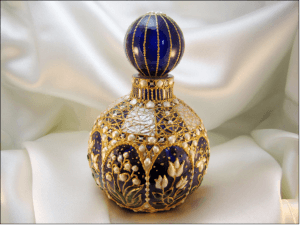 It gives you a classic look yet makes your photos trendy and fashionable. In my fashion photography location ideas, streets top the list. There are lots of locations where you can click fashion photographs. If you ask for some creative photography tips, I would tell you to shoot fashion photography using a garage or workshops. You may think that you may not get good background or good elements. But if you get a rough look of your fashion photographs, then garage or workshop is a great option. There are many fashion brands which require hunky and rough look out of the model faces. The location also matters with the facial expression of the models. 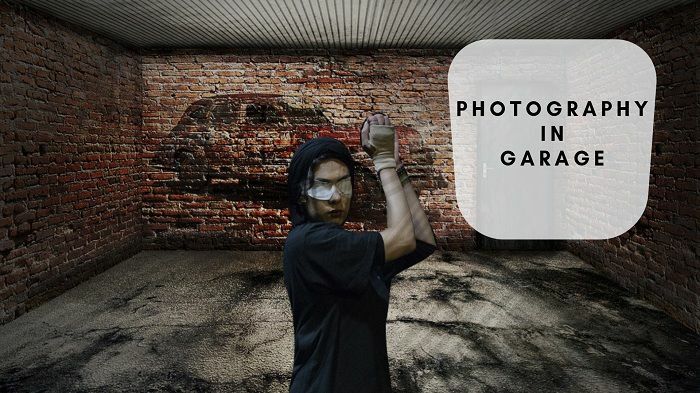 A garage or workshop will help you to bring that look at your fashion photography. For fashion photography, you can use both indoor photography location and outdoor location as well. Have you ever photographed using the staircases inside or outside? 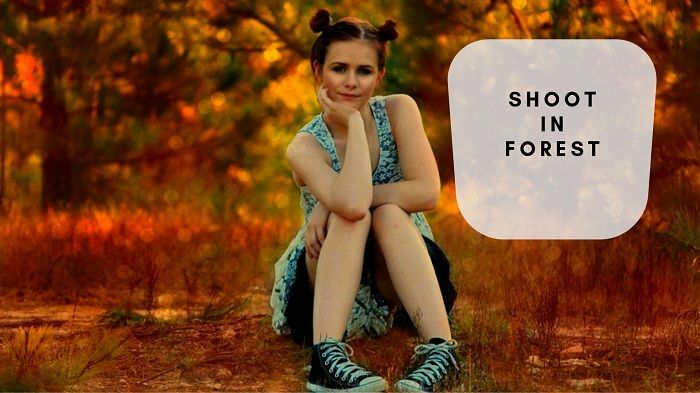 If you didn’t, then you should definitely try this fashion photography location idea. 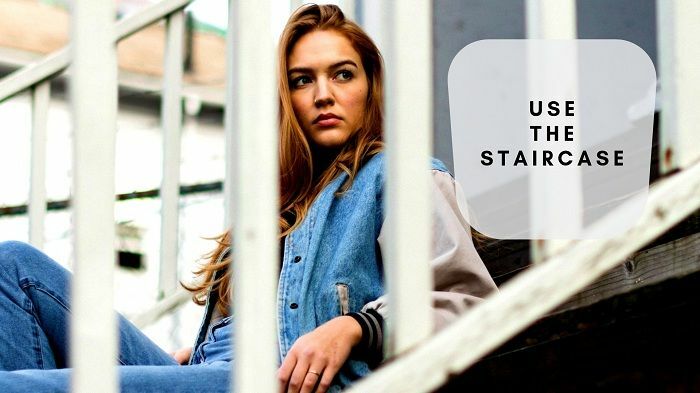 Staircases will give you some amazing fashion photos. In fact, staircases can be used in many ways. You can make your model stand or sit in the staircase giving some poses and click fashion photos. Trust me; you will get some great fashionable photos doing so. You can also click photos in the staircase from different angles to give the photos different looks. Nowadays, every fashion photographers are chasing for the locations for fashion photography which no one has ever used. The rare locations help a photographer to do some great fashion creative photography. 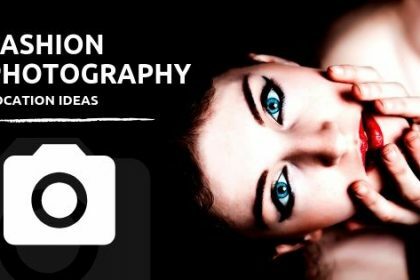 Do you want your fashion photos to look intense and smoky? Abandoned places are best for you to click intensive fashion photography. 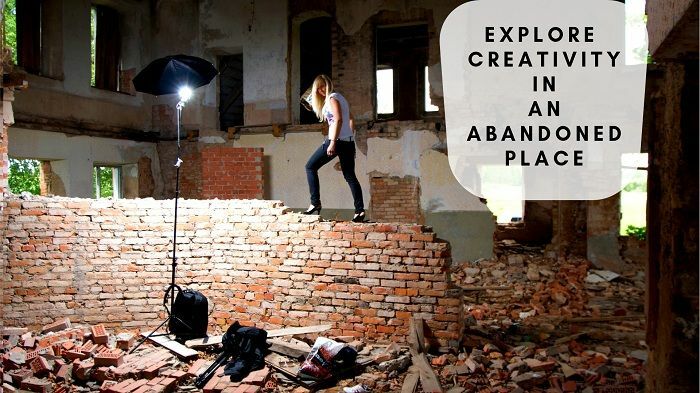 You can go to an abandoned building or an abandoned site for fashion photography. The photos you will click will give you a rough look and Gothic if you do photography in that way. Many photographers use this location to make some unique fashion photographs. Go along with a pair of lights because you are not sure you will get sufficient light to do fashion photography out there or not. Forests are famous for shooting wildlife, macro photography and of course for clicking nature photography. But let me tell you that, forests are really good for clicking fashion photography as well. This is one of the amazing location ideas for fashion photography. Suppose you want nature in your fashion photography and some wildness as well. Nothing can be better for getting this deadly combination. You can get it all out there in a forest. The best part of clicking fashion photographs in forests is, you will get some exotic locations and you can also get to shoot in natural light. Both the things will you your fashion photography a rich look. Two things you must keep in mind before clicking fashion photographs in forests. One is safety and another is taking permission from forest authority. If you do not go without taking permission, you may have to pay a high price. 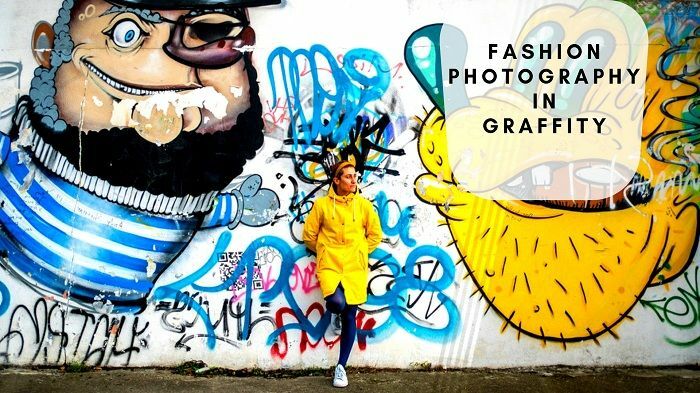 In lots of locations for clicking fashion photography, the most different fashion photography location I would like you to know is graffiti. Graffiti is mainly a symbol of swag. People think that only rapper, hip-hopper and all the people related to swag. Well, this is actually interesting when a graffiti background you use while clicking fashion photography. But you have to be very careful about the outfit of the model so that the photo comes good. Trust me, you will get some great creative fashion photographs. 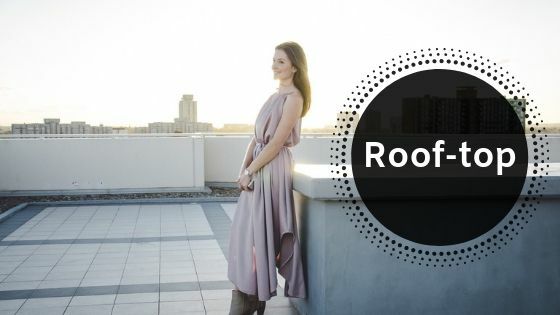 The rooftop is another location where you can take some authentic fashion photos. There is enough amount of natural light as it is an outdoor site. The sunlight’s ray can be utilized perfectly. Rooftop helps you capture images where the hair of your model is lying due to the wind. These sorts of images attract a lot of viewers. You can also sell these images on the stock. Rooftop gives you a wider opportunity to capture a whole area and you can use many types of photography rules there. This location is great for capturing fashion photos. What can be more chilling than sitting near a poolside in the hot summer season? Taking photos using a pool as a background will obviously show a great amount of peace. People love such images, especially in summer. Fashions photos near poolside will give you capture some wet in heat images. 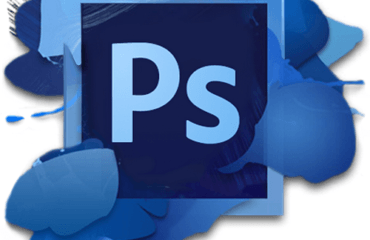 It will give you a bluish background and can help you show the dress color with good contrast. So this is also a good location for capturing fashion images in summer. 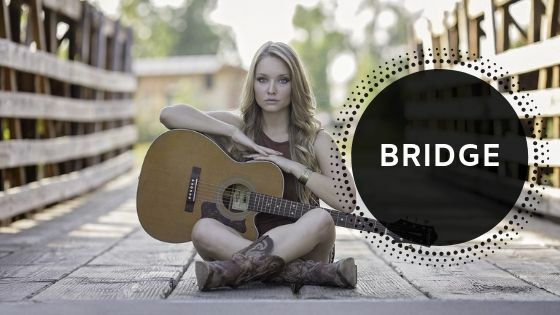 Bridges are a great location for any sort of photography. This is the best way to showcase apparels and wears using models. This is also a part of fashion photography. The temperature near bridges gives a great color contrast to the image. The natural light also adds a good amount of sharpness to the images. Therefore the bridge is a great place for fashion photography. 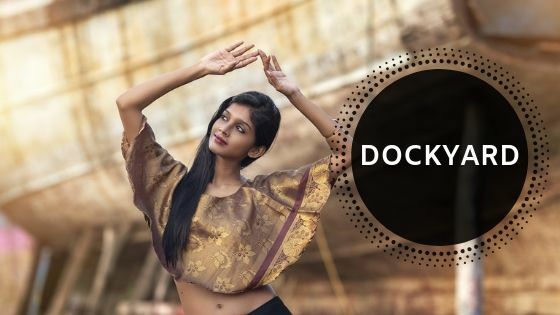 If you want fashion photos that have a vintage look to it then old rusty dockyards are a sample of a great background for it. You can use its rusty ships, parts, etc to give a vintage yet attractive look to your fashion shoots. Many models like to give their hundred percent efforts if they get a location according to their taste. Dockyards are simply one of such location. If you want a perfectly composed image with a great attraction then old dockyards are best for it. A school is always a helpful place. If you want knowledge then go to school. If you want to take photos to go to school. 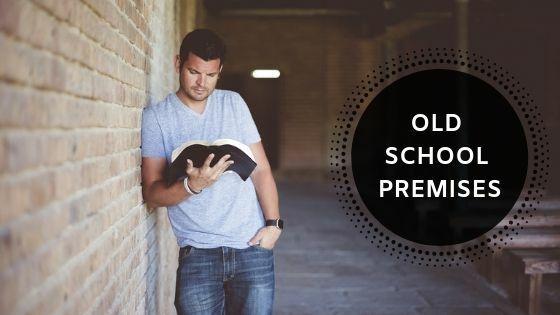 It has become a trend for a lot of photographers to use the brick and tricky walls of old school campus as a background for their images. This is a perfect indoor location for fashion photographs. It has enough area to use it as a photo studio. The background also gives an old vintage look to the images. So it is actually a good place for capturing fashion images. The train station is a very exceptional place to carry over your fashion photo shoot. Its smoky canvas makes it perfect for capturing lomo images for fashion. Trains will add extra attractiveness to your models’ image. 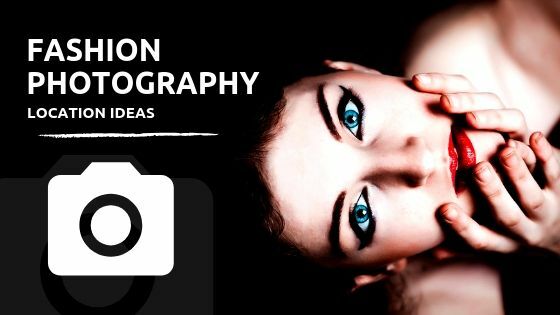 Capture photos of the model while walking amidst the smoke of the train and capture an image that looks entirely professional and amazing. Fashion photography has no bounds for showing creativity and a train station is a location where you can find too many corners for showing your creativity. Fashion photography not only excites a viewer but also the photographer who is taking them. 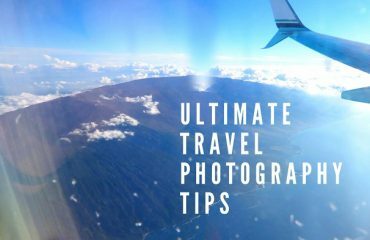 Locations play an important role in taking the right photographs that have the right theme. The above locations are obviously the best places for taking such images. You only need to understand the theme you’re working on and then choose the location for fashion photography. These locations will surely come handy.